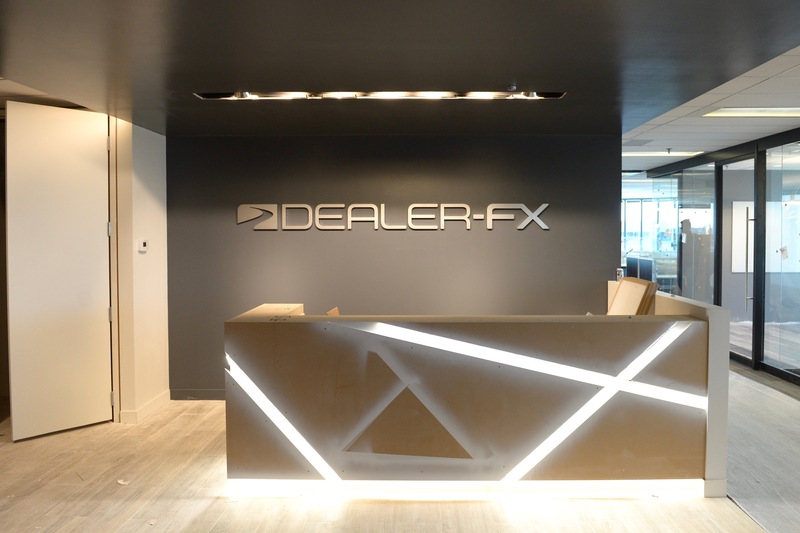 Since 2014, we've had the pleasure of helping Dealer-FX's brand form, expand and evolve. Along the way we've offered guidance in bringing their brand to life with clean, unique, and eye catching lobby signage. 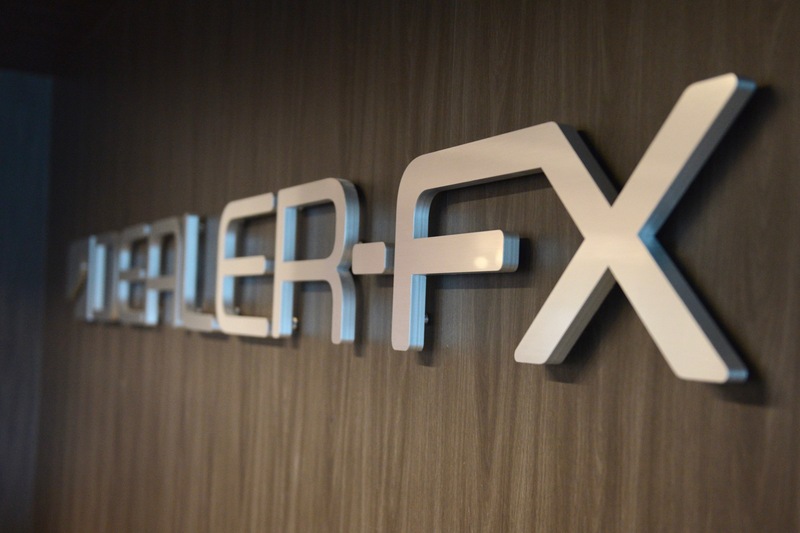 Most recently we helped Dealer-FX relocate their new office signage onto a 3M Architectural film finish mimicking the look and feel of stained wood. 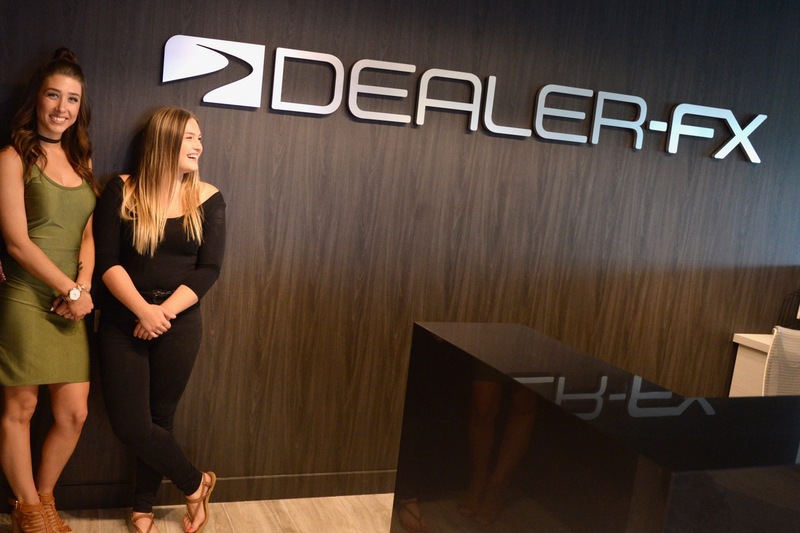 Dealer-FX head office from left to right, Becky Duncan, and Jessie Mitchell proudly represent their company, standing next to their newly re-installed office lobby signage. In the beginning, it came down to picking the right signage material with a high end look so that the company could maintain it’s luxury brand. 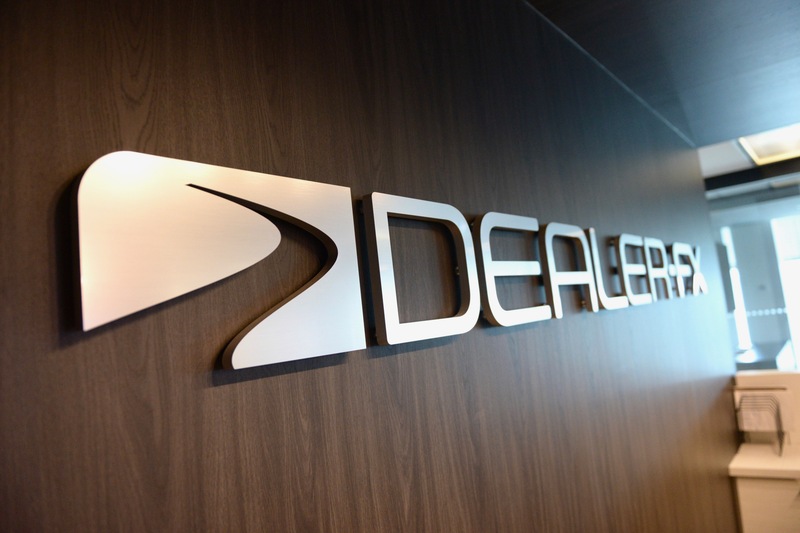 They were looking for office signage that would jive well with their primary audience, dealerships. The aesthetic needed to be clean and simple while exuding power, dominance and control. A solid metal 3D office sign this thick would be extremely heavy, not to mention pricy. So we had to come up with an alternative. In this case the prime candidate was our 3/4” brushed aluminum substitute finish. This 3D finish would produce the same look and feel as traditional aluminum signage letters with a few major benefits. 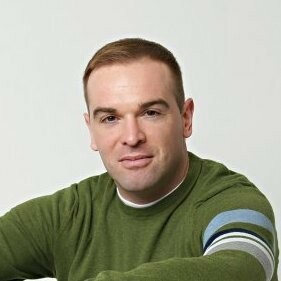 Has crisper, more polished edges. Brushed Aluminum Substitute, being laser cut, at deeper thicknesses produces a crisper, smoother edge. A solid metal signage letter, using traditional methods, can also be made to look this way. But it would require extensive time and labour to clean and polish the edges and faces of the letters after the cutting process. This results in much higher costs. Another alternative would be a traditional metal channel letter sign. In this case the process would involve bending and welding thinner pieces of metal for the edges or returns of the letters and then welding them to the flat cut face of each letter. Channel letters are also more labour intensive and require more work than flat cut signage materials. Although, sometimes the only way to achieve a certain effect is to go with a channel letter sign. In most cases it isn’t always necessary and can often be over kill. If you are looking for different shades, colors and variations there are a number of different Brushed Metal Substitute finishes to choose from, including brushed nickel, brushed bronze, brushed copper and more. I believe a brushed aluminum would be the material we would like to go with, but open to suggestions from you as you are the experts. 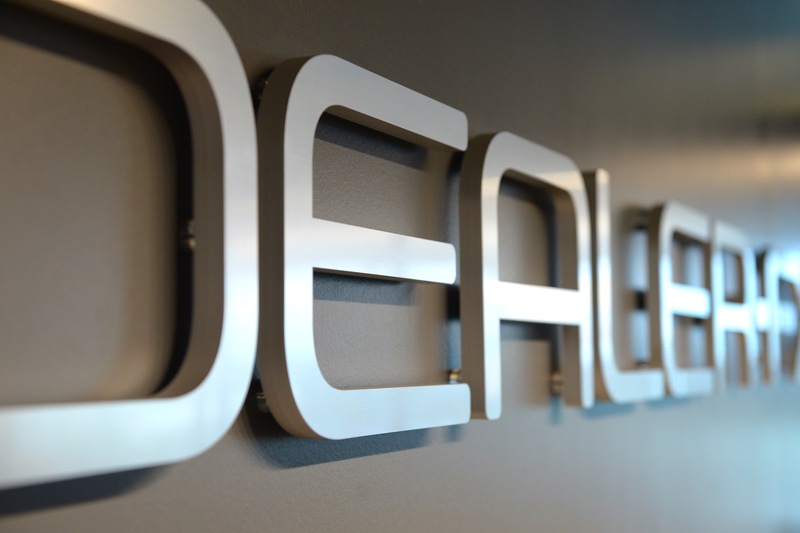 Dealer-FX wanted the letters made of 3/4” ArtSigns Brushed Aluminum Substitute (an acrylic based finish that looks like metal). To add dimension to the office sign letters we raised them off the reception wall on clear 1/2” spacers. The 3D office signage really pops with the light shade brushed aluminum style lettering re-installed onto the 3M Architectural Film mimicking the look of a wood veneer wall. The wall was originally painted gray. Due to time constraints we needed to install the office sign onto a wall that was painted gray for the time being. The plan was that it could later be moved onto the wood finish wall. The look and feel of the brushed aluminum substitute finish depends on the lobby’s available lighting. 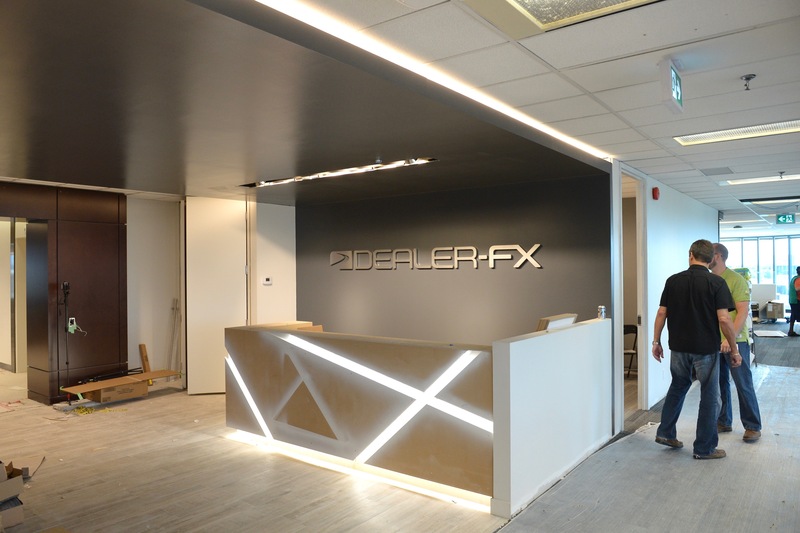 Changing office signage lighting, keeping it in mind during the buildout and adjusting it to showcase your 3D signage does wonders to bring it out and make it shine. 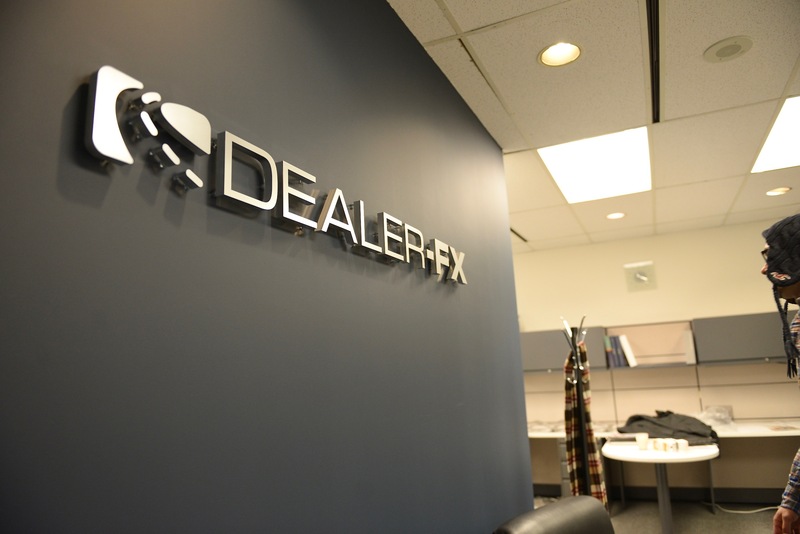 Looking back at the original Dealer-FX 3D reception sign we made back in 2014 you can see how the brand changed over time. It’s relative to what it was in 2014. The style of lettering has changed slightly but tips it’s hat to the original logo look and feel and remains consistent for clients to follow and relate to. While much has changed, a great deal remains the same. The style of lettering, with 3/4” light shade brushed metal substitute raised off the wall on 1/2” spacers, is familiar to the original signage. If you look closely at the new space you can tell that more thought was put into lighting, this time 5 directional halogen LED lights were built into the ceiling. The lighting solves the issue of illuminating the desk below and properly showcasing the office signage to visitors. If you like our new and more affordable 3/4” Brushed Aluminum Substitute as an alternative to true aluminum and would like to learn more, have a custom quote prepared, and any questions you may have answered get in touch through our quote page.